It appeared Adelaide was England’s best chance to snare a victory in this series, and now everything is on the line heading to Perth. Heading west for the third chapter of this intriguing series, the WACA is a ground England has notably struggled at in past times. Here is a break down of the numbers heading into this Test. 1 – It’s probably right to start with the number 1. This is how many more Test matches we can expect to see at the ground. In other words, this is it. Following this match, future cricket will be hosted by Perth’s new ‘Optus Stadium’ – the construction of which is near completion. In an ugly tale for England, one is also the number of matches they have won at the venue, in almost 50 years of Ashes cricket there. This sole victory came in 1978, amidst the World Series separation. 1970 – That victory came eight years after the inaugural Test at the ground, in 1970 – also between Australia and England – which ended in a draw. 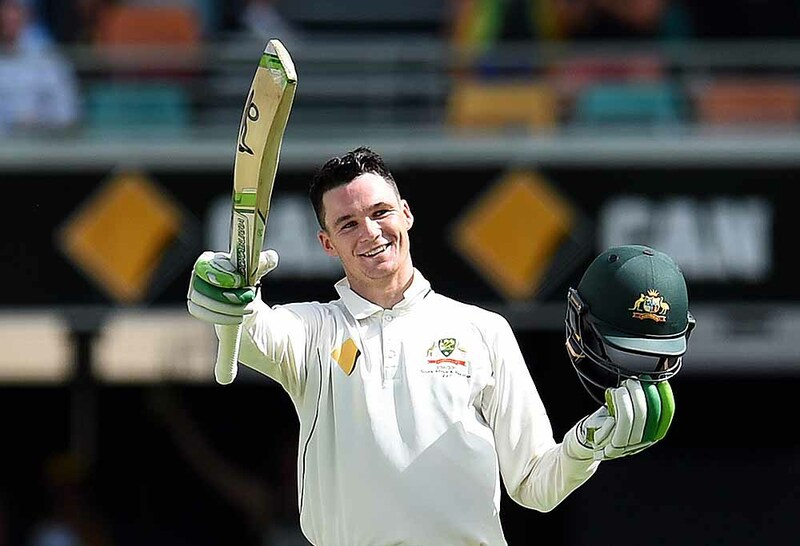 47 – Peter Handscomb has had his place in the Aussie side debated in the last week, after a lean opening to his series. Handscomb would be replaced by bowling all-rounder Mitch Marsh should the hierarchy chose to punt him, and with the former sporting the healthy Test average of 47 in a little over 12 months. Handscomb’s form appears edgy at best, and he may need some time out of the side to sort out some technical aspects of his game. But it is also rare a player boasting such an average loses his place. 120 – Hotly debated and, you might say, hot-headed all-rounder Ben Stokes – whom England are so obviously missing on this tour – notably scored a brilliant 120 the last time England played in Perth, in December 2013. This was just Stokes’ second Test appearance, and the innings came at a time when just about every other teammate of his failed to stand up with the bat. Regardless of what has happened since, at that stage, cricket followers worldwide realised the kid had no shortage of raw talent, and might be something special. 4 – Just four players from that English XI which saw the Ashes handed back to Australia following that match remain in the side. Only Alastair Cook, Joe Root, Stuart Broad and James Anderson are left. You might say too that dominant performances from this quartet are a key to England having any chance. 150 – England’s captain during that series, Cook, is about to play Test match number 150. The veteran played his 100th in the above-mentioned match in Perth, in 2013-14, sharing the milestone with Michael Clarke. Cook has lost three from three at the WACA; the only Australian ground where he has done so. He will be fired up to correct this, but he will need plenty more from his own willow. 150 runs was notably the margin of Australia’s series-clinching win in the most recent Ashes Test in Perth. 37.8 – The visitors had little chance in Perth last time, largely due to Mitchell Johnson’s continued destruction of their tour. Johnson loved this ground, capturing 45 wickets in matches there, at an incredible strike rate of 37.8, producing devastating spells and often chipping in with the blade too. He sits behind only Glenn McGrath for wickets taken in Perth, who has 52. It was probably fitting that Johnson played his final Test on the ground, two years ago, against New Zealand. 290 – It was during that match between Australia and New Zealand where experienced Kiwi Ross Taylor amassed 290, in a consuming innings on an extremely flat, lifeless pitch that was ultimately – and rightly – criticised. 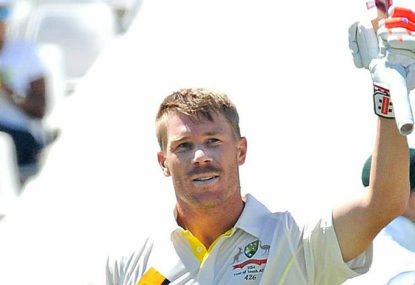 David Warner notched a personal best of 253, in a drawn match that saw a total of 1672 runs piled on for the game. 803 – Funny I should mention Warner – look out England if he can get going, because he has already plundered 803 runs at this ground from just five appearances, with an average just under 90. The Australian vice-captain finds himself fifth on the all-time runs list for the venue, but time is running out to reach the top. Warner will need to score 163 or more runs in this match to pass Ricky Ponting (965 runs) at the top of the chart. We know he enjoys six-hitting, so we can expect some entertainment if he gets set. 28 – The talk of six-hitting leads me to mention George Bailey. His stint of five Tests in the 2013-14 Ashes will always be best remembered for clubbing 28 runs off a James Anderson over. As if England weren’t in a deep enough hole already, the Tasmanian piled on the anguish, taking his score from 11 to 39 in just a single over, before Michael Clarke declared Australia’s second innings. Bailey didn’t have the best series with the bat, but it sure had a few highlights. 28 may also be the number of times we can expect to hear the ‘Fremantle doctor’ mentioned each day on the telecast. 8 – Looking impressive in comparison England’s one, Australia has been victorious eight times in Ashes Tests in Perth since 1970. And frankly, even eight mentions per day of the ‘Fremantle doctor’ should be more than enough!